Youth Arts Education Days at the Fesitval of Arts bring out that creative spark in your young artist at Youth Arts Classes this summer at the Festival of Arts. 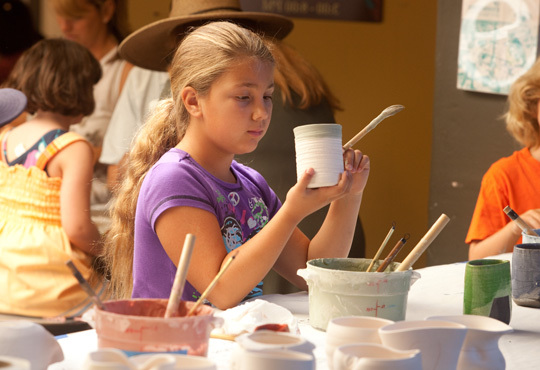 Kids will enjoy art classes taught by professional Festival artists in mixed-media, jewelry making, collage and more. Meanwhile, parents will have free time to view the artwork on display throughout the Festival grounds. Festival artists will also share some of their creative techniques in a fun and friendly environment that will inspire your kids to come back every week! 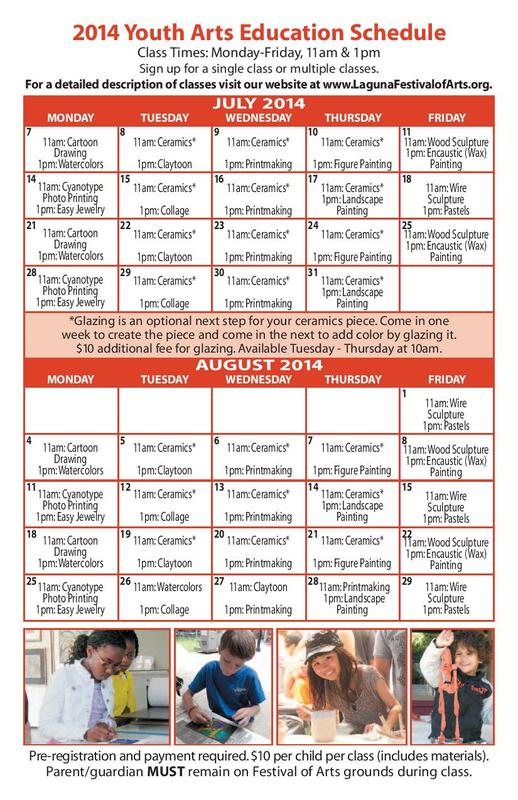 Classes are open to children ages 5-12. $10 materials fee per child per class. Download the application. Reservations required. Call (949) 464-4234 or email.